Let your blonde have more fun. A pre-wash treatment for blondes who want lighter brighter hair. Whether you are bleach blonde or natural, you will want to keep brassy, orange tones from building up in your hair. Marilyn helps with this. It maintains the blonde you have, whilst chamomile and lemon combine to give a hint of a glint of brightness. We didn’t skimp on the brighteners – we have chamomile infusion, fresh organic lemon juice, lemon essential oil, chamomile essential oil and saffron infusion. To make sure your hair stays in gorgeous condition, we’ve added a softening linseed mucilage, extra virgin olive oil to give tensile strength to the hair and soya lecithin for added protein. 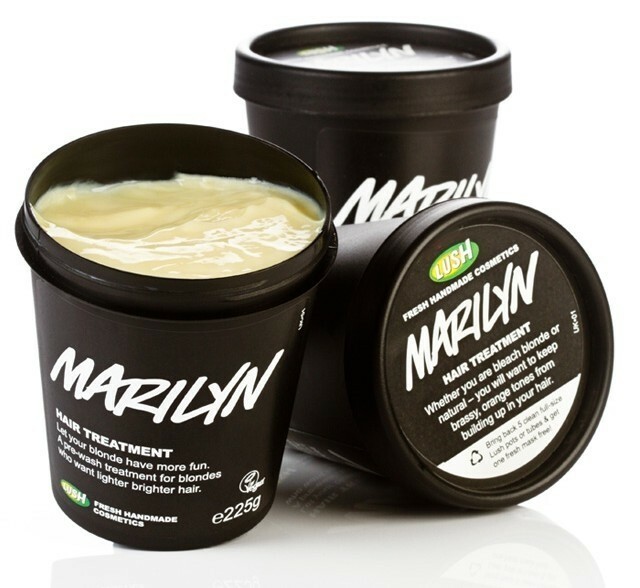 Use Marilyn regularly to ensure you stay true blonde, not brassy. Apply to damp hair, use as a pre-wash treatment. My hair looks like Marilyn Monroe - well not quite! This is a pre wash conditioning treatmnet but I have also used it as a conditioner after shampooing. It smells really lemony with chamomile too. It leaves my hair lovely and soft and does help to keep it blonde and stop it getting brassy looking too. "This is a pre wash conditioning treatmnet but I have also used it as a conditioner after shampooing. It smells really lemony with chamomile too...."